Very Good. The dream of rebuilding civilization is tested as the people of Alexandria come into contact with other communities that have developed their own methods of survival. Trade paperback (US). Glued binding. 1088 p. Contains: Illustrations. Walking Dead Compendium Tp, 3. Intended for a young adult/teenage audience. New. Trade paperback (US). Glued binding. 1088 p. Contains: Illustrations. 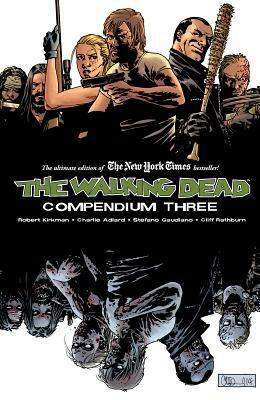 Walking Dead Compendium Tp, 3. Intended for a young adult/teenage audience.